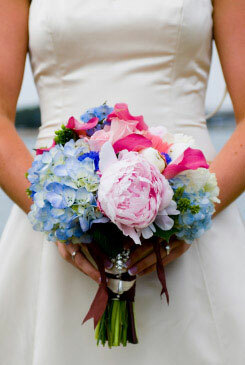 Bridal bouquets are things of such beauty and our blue bridal bouquet ideas and pictures are just divine. As flowers come in many shades, there are no two flowers the same. 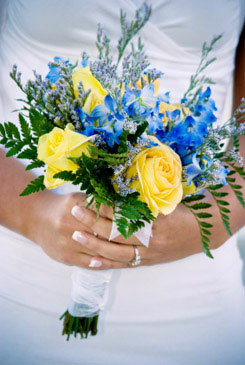 A blue wedding bouquet is a beautiful colour choice for your wedding and will make an impression with your family and guests. Just imagine your wedding photo's. 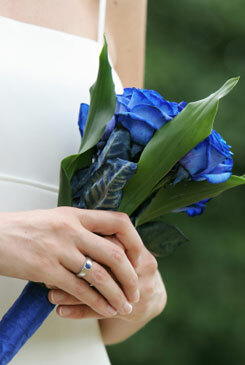 A blue wedding bouquet and flower symbolises freedom, strength and new beginnings. Blue is cool, calming, relaxing and refreshing, from the blue water in the ocean to the blue skies. It also represents protection, clarity, creativity and mental supremacy. Have a look through our blue flower guide, it will tell you if your favourite blue flower is in season. 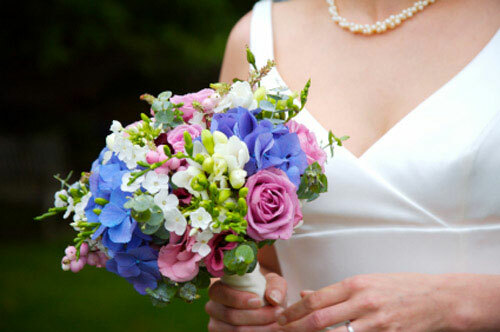 Many lovely flowers come in blue, like the delphinium, larkspur, hyacinth, pansies, anemone, iris, ageratum, lobelia, veronica and bluebells. 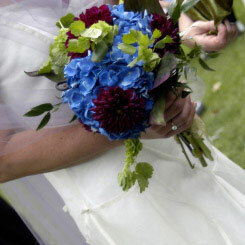 Check out our blue bridal bouquet ideas and pictures and see if your flower choices are there. Dark blue on the other hand has a tranquilizing effect, connecting us to our intuitive side. More people have blue as their favourite colour than any other colour. 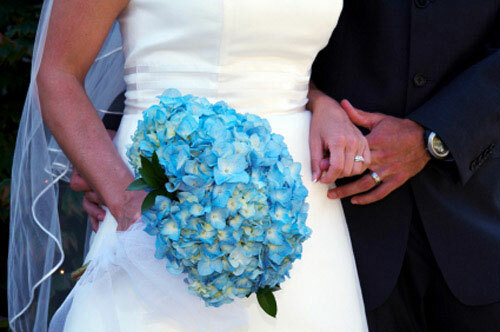 It is said that people who wear light blue are said to have a more practical approach to life. 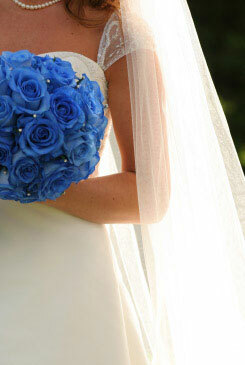 In Catholism, the colour blue is symbolic to the Queen of Heaven, the Virgin Mary. In Judaism, it is connected to God the Father. In Islam, it is the colour both of religion and community and is used for decorating mosques. In Ancient Greece, blue was associated with the sky gods Mercury, Juno and Jupiter. 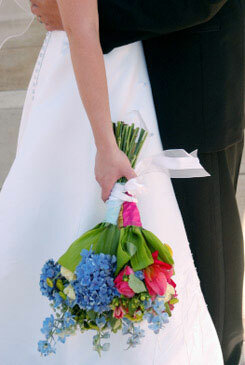 Classicly, many popular wedding bouquets are made in pastel shades, including white, pink or yellow flowers. 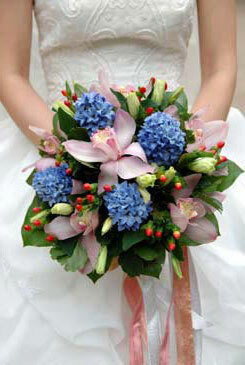 For the more daring bride, a blue bouquet flower wedding colour theme is a very unique and memorable choice for your special day.